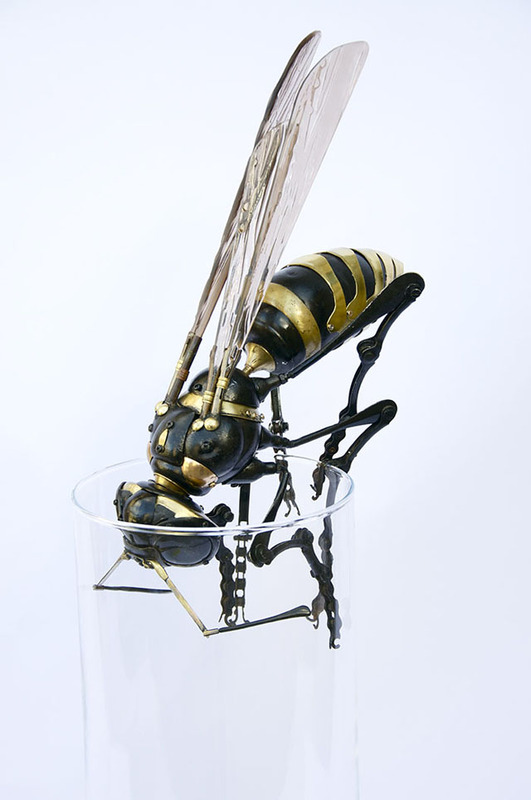 French artist Edouard Martinet assembles found objects into delightful sculptures of insects, birds, fish, and other animals. 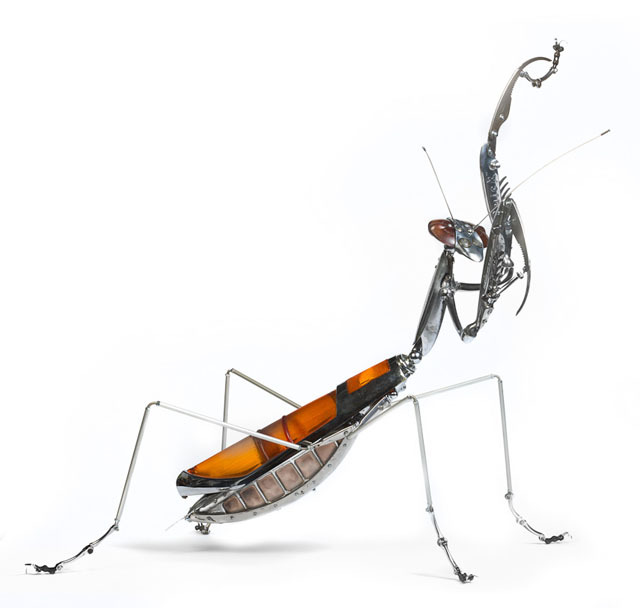 He assembles the sculptures from all manner of salvaged parts and junk, including car and bicycle parts, typewriters, and medical equipment. Each sculpture takes about a month to create and he works on several at one time. 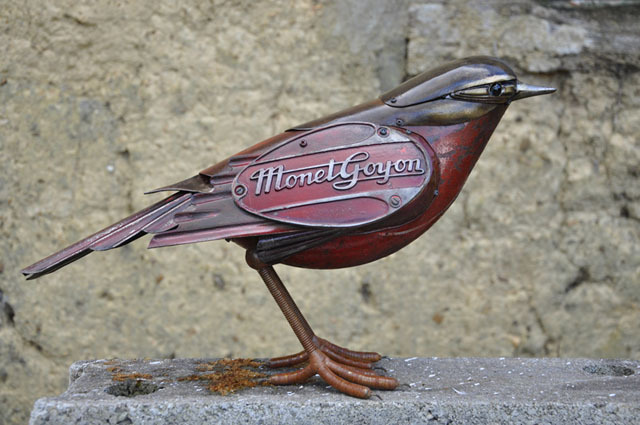 Martinet’s scultpures will be on display at Sladmore Contemporary gallery in London, November 27, 2013 to January 31, 2014.